This year there is an eclectic collection of finalists up for the jazz Tui. Hayden Chisholm, Norman Meehan,and Paul Dyne have been nominated for Unwind, alongside Lucien Johnson for West of the Sun, and Umar Zakaria for Fearless Music. The finalists for Best Jazz Composition are Callum Allardice for A Gathering, Anita Schwabe for Springtide, and Jake Baxendale for Beyond The Palace. Chisholm, Meehan and Dyne are well established musicians, composers, and music educators in New Zealand. Having worked with each other in various contexts over many decades, the album Unwind is their first outing as a trio. Recorded at the end of Chisholm's New Zealand tour in November 2016, Unwind features a set of beautiful original compositions. The exquisite saxophone playing is front and centre, but it is the intuitive musicality of this highly experienced trio that makes the album an incredible experience. Wellington-based saxophonist and composer Lucien Johnson has been nominated for the 2018 Best Jazz Artist for his 2017 release West of the Sun. Composing and performing with his six-piece jazz ensemble, Johnson has worked on a number of pieces for various media – including compositions for film, television, dance, theatre and installations. He’s also had regular collaborations with New Zealand dance theatre company Borderline Arts Ensemble. One of New Zealand’s most exciting young jazz musicians is Umar Zakaria. The album Fearless Music has been created by his own diverse musical traditions in collaboration with New Zealand’s top jazz musicians. Zakaria’s career has taken him across the globe to perform with jazz legends like Bob Moses (US), Hagai Bilitzky (Israel), Rob van Bavel (Netherlands), Snorre Kirk (Denmark), Magnus Hjorth (Sweden), Steve Barry, and Mark Lockett, among others. Recorded Music CEO Damian Vaughan said the finalists for Best Jazz Artist this year have created diverse, refreshing pieces of music. The APRA Best Jazz Composition will also be announced at the awards. Since launching in 2016, the award recognises New Zealand’s top jazz compositions from the last 12 months. With a career starting at the young age of 15, Callum Allardice created his own jazz group and began gigging around the Nelson area, as well as participating in various festivals and competitions. Now, after winning Best Jazz Composition last year for Deep Thought, Callum is back in 2018 as a finalist for his composition A Gathering, which he composed for the 2017 Wellington Jazz Festival’s collaboration with South Korean ensemble, Black String. Professional jazz musician and teacher Anita Schwabe is also nominated for her composition Springtide, which will feature on her debut album Eat Your Greens set to be released in 2018. Over the years, Anita has performed with her own groups and other jazz combos at major New Zealand festivals, as well as internationally at the Vanuatu Jazz Festival and Claude Bolling’s Suite crossover of Classical Guitar and Jazz with Matthew Marshall, Paul Dyne and Roger Sellers in New Caledonia. Anita will be performing at the 2018 Wellington Jazz Festival. Wellington-based alto saxophonist and composer Jake Baxendale has been hard at work establishing Jazz Aotearoa, a professional association that represents jazz creators, presenters, educators and audiences in New Zealand. Jake was also instrumental in the 2017 Jazz Festival collaboration with Black String. He’s nominated for the 2018 Best Jazz Composition award for his piece Beyond The Palace. 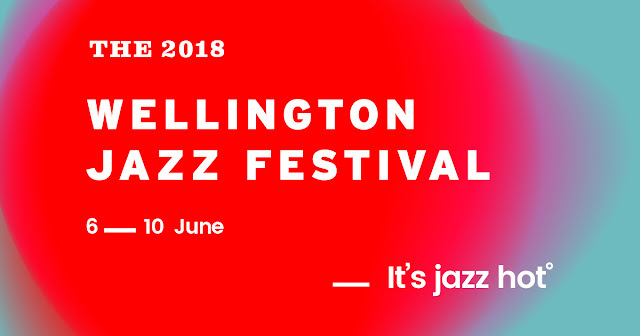 The winner of both the Recorded Music NZ Best Jazz Album and APRA Best Jazz Composition will be announced at an invite only event to kick off the Wellington Jazz Festival, which runs from Wednesday 6 June to Sunday 10 June and features hundreds of local and international jazz performers. From a sold-out Opera House crowd, to a bar-hopping night for two, get into the city’s lively local music scene and treat yourself to a Wellington weekend to remember. Find your jazz groove as incredible live music and good times fill the city’s streets and bars at this annual musical feast. With more than 100 gigs in five days to choose from, your favourite mid-winter break starts here. Christian McBride’s New Jawn | USAFeaturing Josh Evans, Marcus Strickland & Nasheet Waits. Enjoy this six-time Grammy Award–winning musician and US bass master’s hot new quartet, in New Zealand for the first time. Chris Dave and The Drumhedz | USAJoin one of Rolling Stone’s 100 greatest drummers of all time on a mind-blowing rhythmic journey through the freshest, beat-laden jams. Featuring Marcel Camargo, Leo Costa & Artyom Manukian. Be seduced by the incredible range of style and emotion of this acclaimed, Grammy Award-nominated vocalist. John Beasley’s MONK’estra | USASmashingly off-beat melody, humour, beauty and swing abound in this hippest of big bands, capturing the spirit of Thelonious Monk. Robben Ford & Lydia Pense | USARock out to a gala performance of pure musical heart and soul with guitar great Robben Ford and vocal powerhouse Lydia Pense. Marsden, Medlyn & Fox | NZBlues legend Midge Marsden and jazz diva Helen Medlyn whip up a storm with the Roger Fox Big Band. New Exhibition for NZ Music Month - Wellington Museum: Burning Up Years: Aotearoa Music History is an exhibition celebrating Kiwi music of the past. 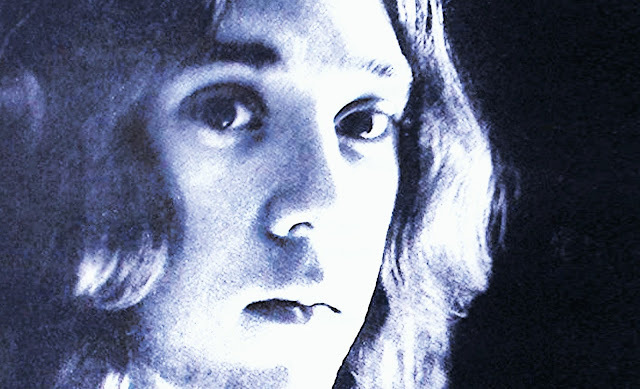 Burning Up Years: Aotearoa Music History is an exhibition celebrating Kiwi music of the past. This NZ Music Month we’re celebrating some of the gems of Aotearoa music history with a special exhibition at Wellington Museum. In collaboration with Audio Culture this exhibition will run during the month of May showcasing the Wellington music scene from 1960 – 1978, with New Zealand-made music equipment, music videos, listening posts, rare vinyl, posters and album art. Labels: New Exhibition for NZ Music Month - Wellington Museum: Burning Up Years: Aotearoa Music History is an exhibition celebrating Kiwi music of the past. In honour of NZ Music Month (May), Whittaker's have joined forces with up-and-coming Kiwi musician/songwriter Jasmine Balmer, also known as BEING., to create New Zealand's first edible record made of Whittaker's chocolate. As New Zealand's Most Trusted Brand, Whittaker's is pleased to be part of celebrating our home-grown talent and creative spirit with a chocolate record that tastes as sweet as it sounds. BEING's Jasmine Balmer, who contributed her new single Fold Into The Sea, says she was hooked by the innovative concept and is honoured to partner with Whittaker's as a much-loved local brand. "When Whittaker's originally asked me to be involved, they sent through a teaser video of their prototype and I got goose-bumps! I honestly didn't think it was possible to produce a working record made entirely out of chocolate, but Whittaker's have done it!" says Ms Balmer. Whittaker's Marketing Manager, Jasmine Currie, says the process to create a chocolate record that successfully plays good quality music took months to perfect. 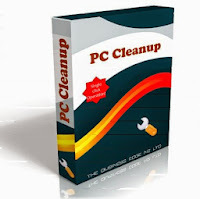 "We used melted Dark Ghana Chocolate which we then poured into a record-shaped mould. The key was to get the tempering of the melted chocolate just right, which we achieved after a lot of trial and error. "We think the end result is a great-sounding record that has the warm quality of vinyl - maybe a little scratchier but inherently a lot sweeter nevertheless," says Ms Currie. What is NZ Music Month? Put simply, the purpose of NZ Music Month is to celebrate music from New Zealand, and the people who make it. Firmly entrenched as part of our cultural landscape, the month of May has gone from a period of encouraging radio to play more local tunes, to a 31 day celebration of homegrown talent across the length and breadth of the country. 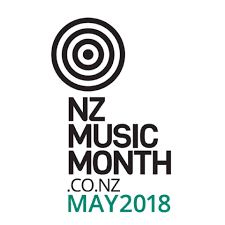 NZ Music Month is a promotion run by the NZ Music Commission that takes place each May, in association with other organisations including NZ On Air, Recorded Music New Zealand, APRA, The Music Managers Forum, and Independent Music NZ. 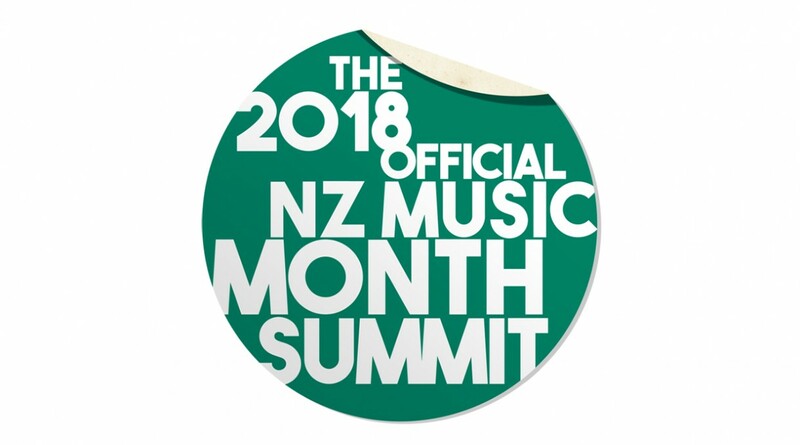 And NZ Music Month could not succeed without the support of the country's labels, media, the general public, and, most importantly, the artists themselves. Here at NZ Music Month HQ we can still remember back to the year 2000 when it all kicked off. There was plenty of great music being made but not enough people got to hear it, see it, or have it on their shelves. It's bloody marvellous to see how far things have come. We want to help you get to great gigs, make new musical discoveries, and get excited about your faves from the past. With a bunch of new releases looming over the horizon, hundreds of gigs around the country, and media of all kinds gearing up to get behind NZ Music Month, you won't be able to miss it. NZ Music Month will also be spreading the word about everything else that's going on around Aotearoa, so stay tuned for our personal picks throughout May and dig deep into our comprehensive gig guide to find gems that tickle your fancy. In May, otherwise known as NZ Music Month, Ngā Taonga Sound & Vision's Wellington cinema is bringing a line-up of the best of 'aural Aotearoa' to their big screen. The line-up has something for everyone – Wellington music fans will be able to choose from a selection that includes the Topp Twins, avant-garde musician, Philip Dadson, a homegrown opera and many more. Jackie Hay, Ngā Taonga Group Manager, Outreach and Engagement said, "We're delighted to bring a strong visual element to Music Month so it's fitting that we have in the mix right through May multiple episodes of the ground-breaking television show, Radio with Pictures. At the time it opened up access to a world of music not given air time on popular radio. Those with fond memories of the 60s, 70s and 80s, will be able to take a trip back to places like Auckland's Gluepot and Christchurch's Stage Door and relive some really special performances. “We're also excited that one of the show’s most well-known presenters, Karyn Hay will be live in our cinema on Thursday 31 May for an exclusive behind-the-scenes talk about her days on Radio with Pictures”.